Legal Graffiti is a simple Google Map to show the locations of legal graffiti walls around the world. If you click on a wall's map marker the map zooms in on that location and loads the address of the graffiti wall. It is possible to search the map by location or simply zoom in on the nearest map marker to your home. If you know of any walls that are missing you can add them to the map. 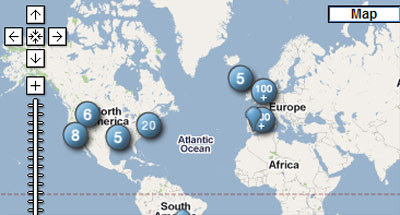 StreetArtLocator is a user contributed map of street art. 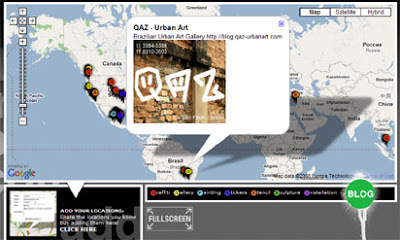 The user contributed examples are colour coded on the map under a number of different categories; graffiti, gallery, painting, stickers, stencil, sculpture and installation. When you click on a tag an information window opens with a photo of the tagged art work. A place to view and share graffiti murals, pieces, and bombs in South Central, LA.